There’s a lot to pack into this newsletter, so let’s get cracking. Thanksgiving is over and the New Year is fast approaching. But, don’t let that fool you – there’s still a lot going on in the world of class action lawsuits. We’ve seen before how companies can get into trouble for their non-GMO claims, and now it seems Nestlé may have found itself in similar hot water. Meanwhile, your Egyptian cotton sheets may be anything but - and, in car news, we’ve got reports on Ford F150 brakes and the VW emissions scandal. As always, the latest settlements are at the bottom of this newsletter, and to keep up with the latest news, like us on Facebook and follow us on Twitter. A number of Nestlé products, including its Coffee-Mate Natural Bliss Creamer, Buitoni’s Four Cheese Ravioli, Lean Cuisine Marketplace's Cheese Tortellini, and Edy’s/Dreyer’s Slow-Churned Ice Cream, may be sporting misleading “No GMO Ingredients” labels. 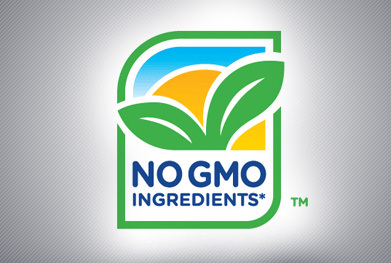 In fact, it’s believed that the company made up its own “No GMO” logo that means, well, pretty much nothing. What’s especially worrying is that Nestlé’s label bears more than a passing resemblance to the Non-GMO Project’s label, which has come to be the marker consumers look for to ensure the food they’re buying doesn’t contain GMOs. Genetically modified organisms (GMOs) are increasingly common in our food, but after backlash from environmental and health campaigners, companies know that non-GMO foods can be sold at a premium price. So, is Nestlé taking advantage? If you purchased any Nestlé products bearing the “No GMO” label, you may be able to help start a class action lawsuit against the company. Want to learn more? Read on. It’s fair to expect to get what you pay for – which is why we have strict laws governing how companies can present their products and make claims about their goods. Consumers need to trust that they’re getting what they’re buying, which is why attorneys working with ClassAction.org would like to speak to anyone who bought sheets advertised as “100% Egyptian cotton” at Target, Bed Bath & Beyond, Walmart, Macy’s or a number of other retail stores. In August 2016, it came to light that Welspun – an overseas manufacturer that supplies some of these stores’ products – had been selling sheets advertised as Egyptian cotton when they were made partially from Indian cotton, an inferior and cheaper material. The sheets were sold under a number of brand names, including Crowning Touch and Fieldcrest, and the entire list of brands can be seen on our website. According to a lawsuit already filed against Welspun, the company has admitted that the mix-up was their fault – and attorneys working with ClassAction.org believe that state and federal laws may have been broken. If you bought the affected sheets believing they were 100% Egyptian cotton, you may be able to take part in a lawsuit to get their money back. Get in touch to learn more. Attorneys working with ClassAction.org would like to hear from Ford drivers who experienced sudden brake failure or other issues with their 2015-2016 F150s. Earlier this year, the National Highway Traffic Safety Administration (NHTSA) announced that it had received dozens of complaints regarding the brakes in these vehicles. Among these complaints were cases of brake pedals going to the floor, low or empty brake fluid levels, and even complete loss of brakes, sometimes without any warning. The NHTSA later clarified that it was investigating 2015 models specifically – though this isn’t the first time Ford F150s have had problems. At the beginning of this year, the NHTSA issued a recall for 2013 and 2014 F150s with 3.5L engines after it was found that the front brakes were faulty and that there were problems with the brake fluid. If you’ve experienced similar issues with your 2015-2016 F150, get in touch with us today to learn more about how a potential class action lawsuit could help you. A number of hotels, banks and other businesses in California have been sued for recording cell phone calls without callers’ permission. This is illegal under California law – but that doesn’t seem to have stopped companies like Citibank, Navient, and Wyndham Hotels, according to recently filed lawsuits. Under California’s Invasion of Privacy Act, a company must obtain a caller’s consent before it can record the call, and individuals who had their calls illegally taped may be owed up to $5,000 per violation. Read more. Teva Pharmaceuticals, the maker of migraine patch Zecuity, is in hot water after the FDA released a statement telling people to stop using the product. Patients have reported burns, rashes, scars and other serious side effects, and although the patches haven’t been recalled, Teva agreed to temporarily stop selling Zecuity in June 2016 while it carried out its own investigation. If you suffered painful side effects, such as burns or blisters, after using this migraine patch, you may be able to take part in a potential lawsuit against Teva. Learn more. Reports of a defect in iPhones – dubbed “touch disease” by people who like to do that sort of thing – surfaced after the phone’s touch screens became unresponsive, leaving countless devices pretty much useless. Complaints regarding the phone’s touch screen have existed for years and the problem seems to be widespread enough for Apple to release a statement acknowledging the issue, but blaming it on “user error.” Still, complaints have arisen in all 50 states and consumers may be able to seek reimbursement for repair and replacement costs through a lawsuit. We spoke with an attorney about the suits and what consumers can do if their phones suffered “touch disease.” Read more. The VW Emissions Scandal: What Really Happened? It was one of the most brazen acts of corruption to ever hit the auto industry and VW is still feeling the effects of the scandal that first broke in 2015. Defeat devices, installed in VW vehicles, were designed to cheat emissions testing and gain the cars certifications they did not deserve. Shockingly, it worked – for a little while, at least. As with all things, though, the truth will come out – and when it did, VW took the hit it deserved. Read more. A proposed class action against the makers of Bravelle can continue, a judge ruled recently. The lawsuit claims that Ferring Pharmaceuticals Inc. released a batch of the medication – a female fertility drug – that was less potent than intended. The company had hoped to dismiss the lawsuit, claiming patients hadn’t properly alleged that the drugs they took were sub-potent, but to no avail. The patients are seeking damages for out-of-pocket medical expenses, including the cost of the drug and money paid out for ineffective fertility treatments. Johnson & Johnson has had two cases against it tossed by a New Jersey judge after plaintiffs, who alleged the company’s talcum powder caused ovarian cancer, failed to provide enough scientific proof to back up their claims. “Though both plaintiffs’ experts are eminently qualified, their areas of scientific inquiry, reasoning, and methodology are slanted away from objective science and towards advocacy,” the judge said.